There are many causes for clogged drains. One of the most common types of clogged drains are in the kitchen due to soaps, fats, grease and food particles that go down the drain. The debris will build up over time and will clog the drain and will cause problems that will require professional Drain Cleaning in Apache Junction, AZ services like ours. If you want the job done right, we are the place to call. We are highly reputable and have a first-rate and well experienced crew that has the know-how to unclog any drain in your home. We are a top-rate and well established company that offers high quality plumbing services that you can afford and can trust. Our skilled team can handle all kinds of problems such as clogged drains, sinks or toilets and will fix the problem. If you have a problem with your kitchen drain that has become clogged with soap, grease or food particles, we will not be beat. 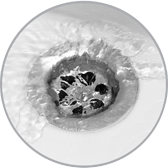 If your shower or bathtub is draining slowly, the drain is probably clogged with hair or soap and needs cleaning. We have been in operation for many years and know what we are doing and offer top quality Drain Cleaning in Apache Junction, AZ that you can trust. Our expert technicians will also unclog your toilet. Often, toilets become clogged with items that should not be flushed in the toilet like facial tissue, paper towels and baby wipes. These products do not disintegrate like toilet paper does and will cause problems when you try to flush the toilet. We will correct this problem, which is why we advise you to contact us if your toilet becomes clogged. If you have Drain Cleaning in Apache Junction, AZ needs or any other plumbing problem, give us call. You can trust us to get the job done right.